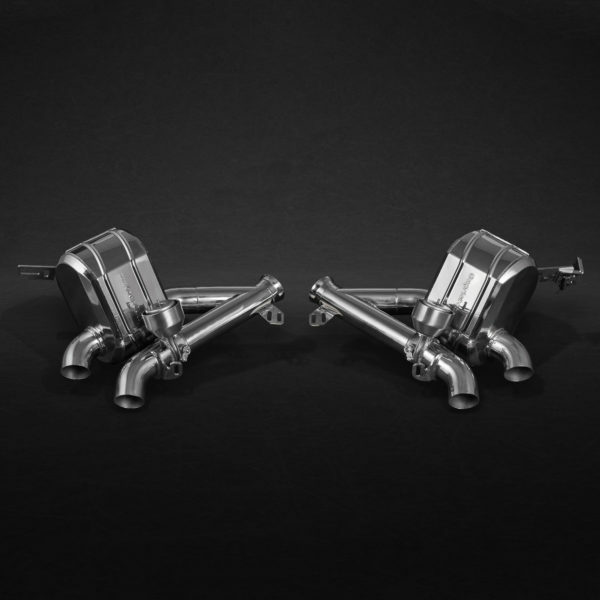 The CAPRISTO system does not have any restrictive factory exhaust sound regulations, and was engineered and designed to let the howl of the GTC4 Lusso’s V12 8,250 rpm redline to be heard by all with the distinctive CAPRISTO sound. The iconic CAPRISTO Valved Exhaust System offers the best of both worlds through its capability to produce an aggressive exhaust note under acceleration, and a more subdued sound for city driving. At lower engine speeds and during cruise operation the valves are closed and produce a deeper exhaust note. At wide-open throttle the valves open, releasing the full symphony of the engine. 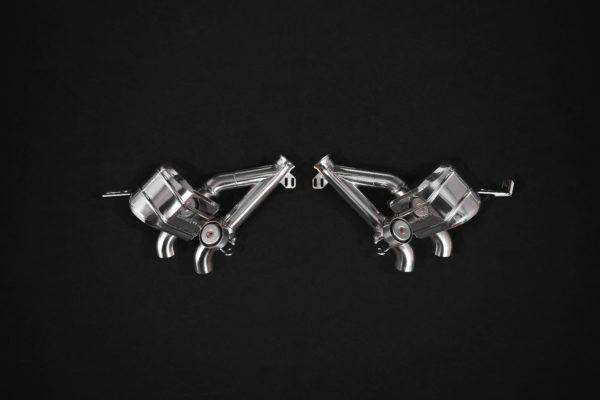 The opening or closing of the CAPRISTO valves are controlled by the engine ECU, therefore working in the same way that the original exhaust was designed to function. 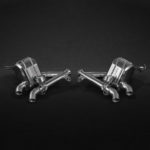 The OEM vacuum pipes fit directly into the CAPRISTO valve system. Alternatively, you could fit the Capristo Standard Exhaust Remote Kit for the exhaust valves, which would provide the ability to open and close the valves at a touch of a button. In the closed condition control is returned to the engine ECU. CAPRISTO Exhaust systems are engineered and manufactured utilizing advanced 3D Laser-Scanning, CAD Design, Digital prototyping, and CNC-bending/milling at our factory in Germany. 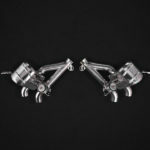 Each system is made of high-grade T309 (1.4828) Stainless Steel and hand polished to a mirror finish. 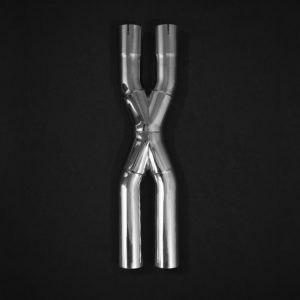 After extensive research, this specific alloy was chosen for its sonic resonance properties, low weight, and durability which are close to the properties of Inconel (used in F1). 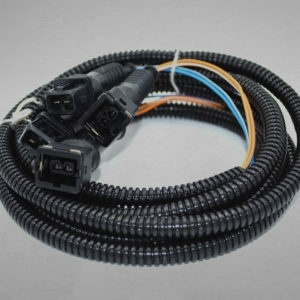 The exhaust system is designed to be installed directly into existing OEM mounting points. 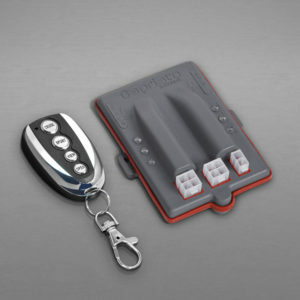 This onboard remote control kit gives you the option of opening your exhaust valves at the touch of a button.